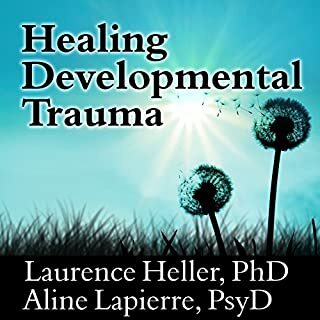 Unraveling trauma in the body, brain, and mind - a revolution in treatment. 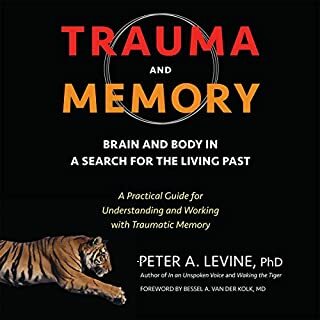 In this culmination of his life's work, Peter A. Levine draws on his broad experience as a clinician, a student of comparative brain research, a stress scientist, and a keen observer of the naturalistic animal world to explain the nature and transformation of trauma in the body, brain, and psyche. 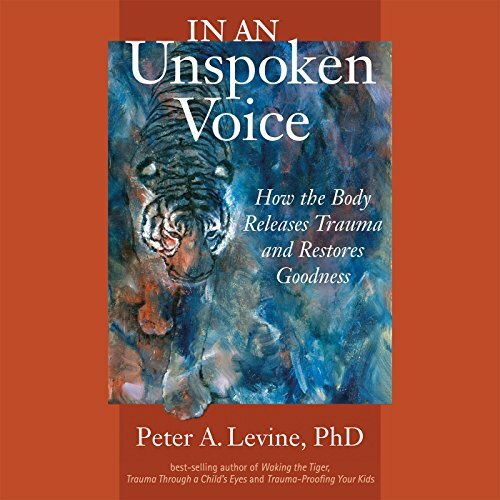 In an Unspoken Voice is based on the idea that trauma is neither a disease nor a disorder but rather an injury caused by fright, helplessness, and loss that can be healed by engaging our innate capacity to self-regulate high states of arousal and intense emotions. 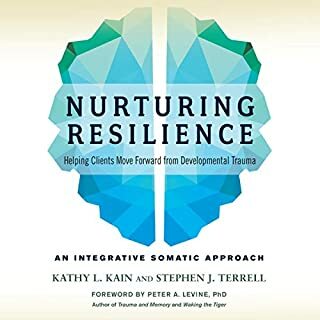 Enriched with a coherent theoretical framework and compelling case examples, the book elegantly blends the latest findings in biology, neuroscience, and body-oriented psychotherapy to show that when we bring together animal instinct and reason, we can become more whole human beings. 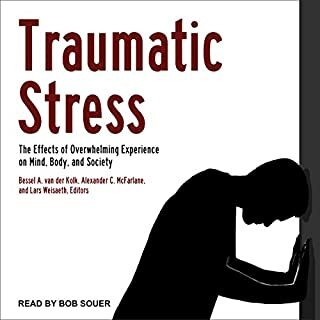 This is an important and helpful book. 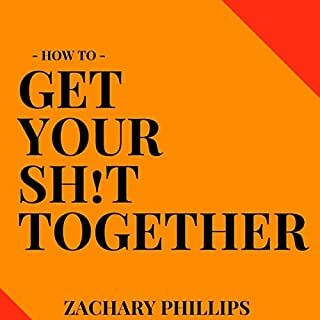 I recommend it highly for the contents. 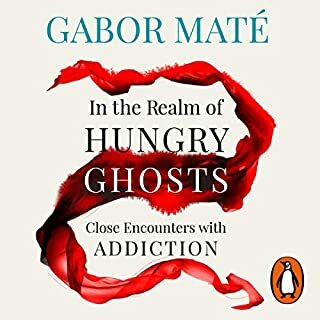 The narration of the audio book, however will be very distracting for anyone who cares much about words. 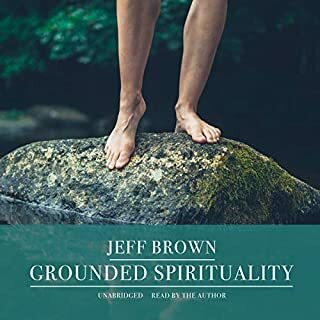 He reader seems not to have been familiar with much of the author’s terminology, and the producers of the audiobook seem not to have wasted much energy editing the performance. It really is a disappointing flaw in an otherwise valuable book. ...and who ever directed this reading was out to lunch at the very least. What a mess! Viscera. Say it: vis·cer·a, emphasis on the vis. This word is used almost every page in this book and he never figures out how to say it. And viscera is not the only bizarre mispronunciation. Then there is punctuation. Mostly ignored. Headings? Just run them into the next sentence. Comas? Ignore or treat as periods. I will never buy another book read by Ed. Ed need to find another line of work. He almost manages to ruin this otherwise brilliant book. There were a few sentences where he did so much creative pronunciation that I wasn't sure it was English. Great story. Needs a new narrator. Who would you have cast as narrator instead of Ed Nash? someone that can pronounce the words. He read to fast like he wasn't even reading the book. It was hard to listen to. Esp. every time he mispronounced Visera. It's almost on every other page and It was painful. I'm now reading every single book that Levine has published. The Body Keeps Score is still my favorite book of all time, but I think that Levine's books (at least those I've read so far) and absolutely incredible. These should be required reading for everyone. 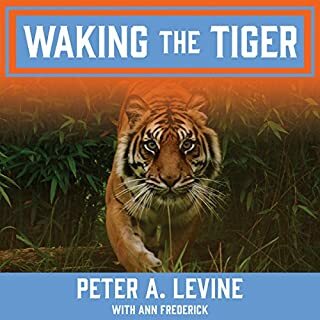 This work beautifully builds on Peter Levine’s book ‘waking the tiger’ with new insights and latest research. 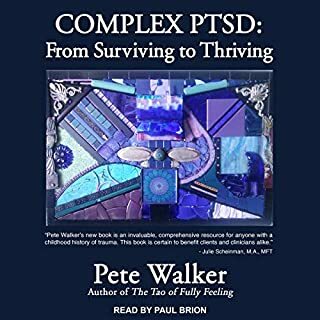 He provides an excellent review of our brain’s evolution and function and how we adapt and struggle with the effects of trauma as well as the stresses of disconnection in modern life. 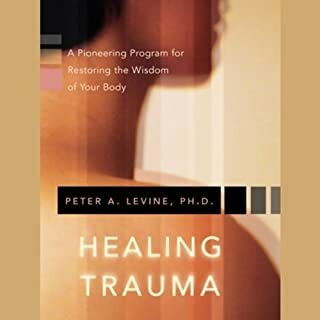 By trusting our body’s innate intelligence and guidance, we can come back to feeling whole again - there is hope for all sorts of trauma through working with the body. Very inspiring ! 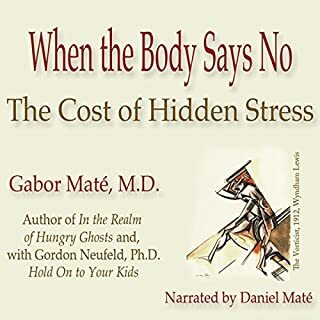 The audio version is challenging in places where the narrator struggles with medical and foreign words that are spoken can’t be recognized—it would be nice to fix that so the listener can understand the message. 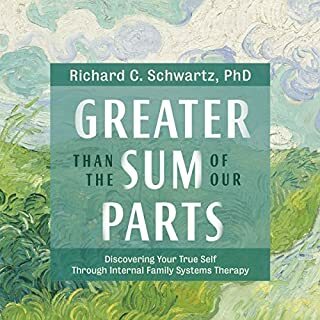 I found the information in this book incredibly useful in my practice. 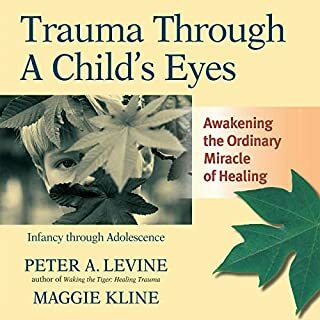 I enjoy Peter Levine's approach and all of the insights into trauma. My largest critique is of the narrating. I much prefer the books that Peter reads for himself. It adds great texture to the experience. 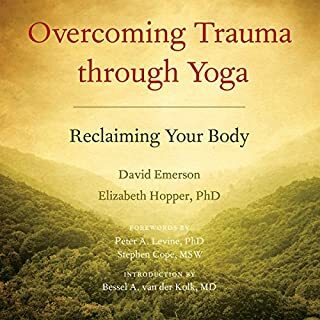 Ed is not a mental health professional, therefore made some confusing interpretations of the words "viscera" and "id" (from Freud's id, ego, super ego theory). Each time he made the mistake, I had to double take, rewind, and internally correct the mispronunciation so I could understand the content. I recommend a revision that corrects these mistakes. They are significant. Felt like this could have been a shorter book. Felt that he repeated himself a lot. 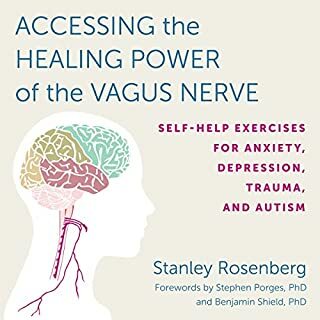 Only 25 percent of this book was useful to me as a Trauma therapist in terms of applicable skills and knowledge about the nervous system. 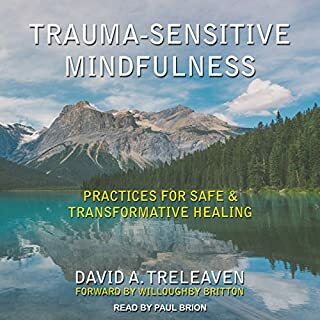 Levine didn’t describe his methods it’s was more of an overview of his work,but really liked his analogies and his explanations why traumas release is important to heal us from the destructive effects of trapped energies. 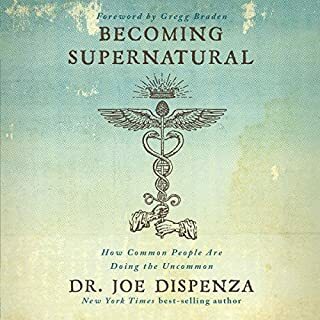 The constant mispronunciation of words that are central to the subject addressed in this book was done to distraction! It was blatantly careless on the part of the reader. Don’t these recordings get edited? Narrator sounds like a robot. 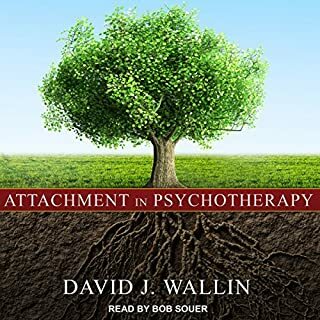 Book is good though, an excellent perspective on the neurophysiology of somatised emotion.